Mercedes finally decided to show off the Mercedes-AMG Project ONE Showcar at the International Motor Show in Frankfurt. The Project ONE is everything you'd want from a ludicrous vehicle that sounds like a concept but will actually be produced and sold – albeit with a massive price-tag! The Project ONE is built around the 1.6-litre V6 hybrid that Lewis Hamilton is using to lead the 2017 F1 championship. It has more than 1,000 horsepower and a top speed of more than 217 mph. The car also features an aerodynamic "shark fin" running down its spine that is similar to the one being used on the current F1 car. The interior of the Project ONE takes cues from the F1 car too, with obvious focus being the racing-inspired wheel and seats. There's also air-conditioning and a dock for your smartphone on the centre console among other niceties. The Mercedes Project ONE Showcar has the exotic side profile of a Le Mans prototype racer, and from certain angles, even looks like some of McLaren’s recent track-ready supercars. 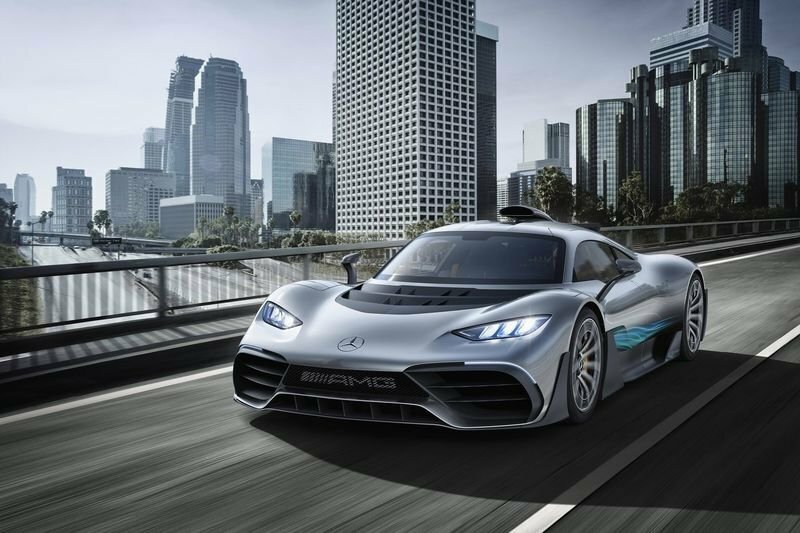 Mercedes says it's only going to build 275 of these surreal hypercars. In the meantime – if you cannot afford the Project ONE – indulge in the gallery and keep on dreaming!